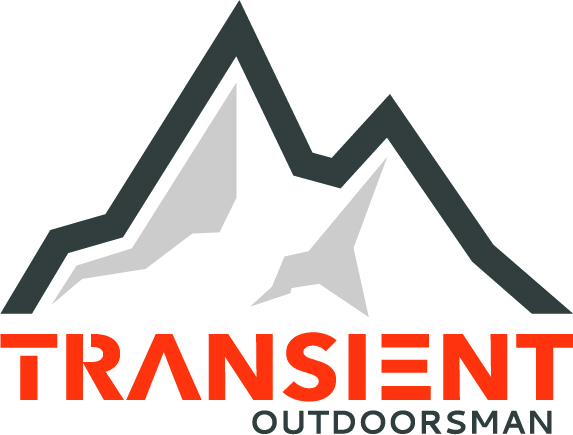 Welcome to the TransientOutdoorsman blog. We cover the great outdoors, hunting, travel, optics, gear and firearms. Every once in a great while I'll come across something - either a product or a method of accomplishing a task - that makes such absolute perfect sense that I wish I'd thought of it myself. This happened most recently in Northwest Montana while hunting Merriam’s turkeys this past April. My wife and I flew to Montana with some friends of ours, Derek and Olivia. The ladies had bear tags, and hunted at Cody Carr's Hunting Adventures. Both of them ended up tagging great, heavy-hided boars, despite the less-than-ideal weather. But the in mornings, Derek and I planned to hunt gobblers before joining the girls for their bear hunt. A few weeks before leaving for Montana, I spoke with Jerrod Lile, research specialist and professional hunt adviser at Huntin' Fool and co-owner of XENEK. He asked if Derek and I wanted to join him for a morning or two of turkey hunting. We eagerly took him up on the offer. Jerrod met us early on the first day and brought a XENEK Apex ground blind along with him. Over the next few days, four gobblers hit the dirt, and a fifth cheated death as a broadhead grazed his back from 61 yards. Derek and I walking out with three of the four gobblers we harvested in Montana this past spring. It had been years since I had spent any real amount of time in a ground blind. After getting fed up with cheap (and some not-so-cheap) models, I quit using blinds in favor of a ghillie suit when bowhunting whitetail swamps or properties that wouldn't permit the use of a tree stand. The ghillie suit deployed rapidly, didn't obstruct my vision, and didn't bleach out in the sun, rip or fall apart at the seams like most of the well-known ground blinds did time after time. But it did have a lot of other drawbacks. The suit only partially concealed my movement, the material often got caught in the bow cams when drawn, it didn't provide shelter from precipitation, and it collected all variety of dirt, bugs and burrs worse than a golden retriever. At roughly the same time that I began dressing like a bush, the wheels in Jerrod's head were turning as well. I’ve realized that – through getting to know Jerrod – that this is a perpetual occurrence. He needed an alternative to the inadequate ground blinds on the market. After all, he had two fidgety young sons to conceal in the woods, and as a dyed-in-the-wool archer, he wanted to bow hunt all species, not just elk. But unlike myself, his solution didn't include a trip to Bob's Army-Navy. Instead, he and a friend joined forces to design, construct and market the ground blind to beat all ground blinds. Jerrod explained that ground blind quality, in general, has suffered simply because it’s a product that retails poorly. In comparison to other products at sporting goods store, blinds are huge. A retailer would rather dedicate that square footage to an item with a big price tag, like a four wheeler, or a whole lot of small products. For example, it’s 400 times more expensive to demo a blind than ammunition in a retail location. If they’re set up for display at all, blinds are often banished to the back corners of the store that don’t receive much foot traffic. So, in an attempt to maintain as much profit margin as possible, the quality of most ground blinds on the market has gone downhill. To make matters worse, there has been almost zero innovation on the ground blind scene in the past decade or so. So Jerrod and his business partner, Jake - who is a structural engineer by trade - borrowed a page from the Kuiu playbook. They decided to sell directly to the consumer while also maintaining an affiliate program. That way there's no profit-eating middleman, allowing XENEK to build a better blind at a competitive price. And so began a three-year saga of trial, error, material testing, and functional experimentation ad nauseum. They started by sending a survey to 400 industry pros, and built the blind according to the feedback they received. The main priorities they identified through that feedback came in this order: durability, shooting opportunity, portability. "We joke that over the past three years, we've spent more time in a ground blind NOT hunting than anyone else on the planet in the past decade," laughed Jerrod. "It's funny, but it's probably true. We've spent days upon days in this blind, in countless scenarios, just figuring out how to make it perfect." After hunting from the blind in Montana and Pennsylvania, I've gotta hand it to them. They nailed it. The Apex is just about flawless. First and foremost, the hub system allows the blind to be erected in as little as 45 seconds. The rods are thicker than competitive blinds, and the hubs are solid steel. The fabric used is tough as nails and is drawn as tight as a drum when set up. All the corners are reinforced with a heavy, rubberized fabric to ensure long life. And as far as comfort is concerned, anyone up to six foot tall can stand up straight inside the blind. The reinforced corner fabric is insanely tough. "I've been on some long sits, especially while bow hunting pronghorns," said Lile. "Being able to stand up was crucial. Comfort was a huge consideration during the design phase. But the blind’s ability to adapt to any hunting scenario was critical, too. One of the most unique things about the Apex is the ability to configure the main windows on two sides of the blind in any fashion needed. The windows (or rather single large window that spans two walls) can be silently drawn all the way closed, all the way open, or into any shape desired in between. Here you can see how the big front window can be closed entirely. Configuring the front window is deadly silent. This is accomplished via the use of two, 4-way stretch fabric panels and bungee cords that hook to loops on the walls. While it’s difficult to explain, it's very simple to do. In addition to the giant front window, there are six smaller windows, including one on the top of the blind. This allows the hunter to see in all directions. The flexible front window also helps a great deal when the blind is either placed on or facing a slope. Blinds that feature a fixed window shape/location make it harder to take a sharp uphill or downhill shot. The Apex front window system also helps provide ideal visibility regardless of how many people are hunting. On that note, Jerrod, Derek and I all fit comfortably in the blind, and I was the shortest at 5'11". We also had a bow, a shotgun, three chairs, three packs and two cameras in the blind with us. Being an outdoor videographer myself, this was a huge feature for me. The more I learned about the blind’s camera-friendly features, the more I needed one. First and foremost, there are two tripod leg slots at the front of the blind. These discrete openings allow the hunter to slide one leg of a tripod outside of the blind, meaning that the camera itself can be positioned all the way against the wall instead of eating up valuable space inside. Second, Jake and Jerrod created what they call a Mini-Mount. This small, jointed camera mount screws into any one the blind’s hubs, inside or out. So the camera can be positioned above, behind or beside the shooter, or even on the roof of the blind for an elevated viewpoint of the shooting lane or decoys. To make a great thing even better, the XENEK think-tank recently came out with the - wait for it - Tree Screw. Bet you can’t guess what it is. Actually… yeah, that’s exactly what it is. It’s a steel screw that, along with a Mini-Mount, allows the hunter to place a camera on a nearby tree. Pair the Tree Screw with a remote controlled GoPro or BlueTooth-enabled camera (like the Sony a6300) and you have a super unique second or third angle of the action. The Tree Screw and Mini-Mount in use. As soon as you touch this blind – I kid you not – you’ll know that this one is better than any you’ve used in the past. But if that isn’t enough to convince you, you’ll be a believer after hunting in it for one day. Jake and Jerrod thought of everything. The fabric is printed with Kuiu’s Verde camo pattern, helping it dissipate in almost any environment. The blind packs nicely into its own backpack, which is complete with cargo straps for a bow, tripods, chairs, etc, and comes included. When we hunted with Jerrod, he hauled three small folding chairs, a bow and a jacket into the field all strapped to the pack. The Xenek Apex blind packs into a backpack that comes included, and offers plenty of space for chairs, tripods, etc. I’m quick to sing praises of this blind because the thing rocks, but I guess, if you twist my arm, no review is complete without at least one negative comment. I’ve really wracked my brain on this, trying to find something I didn’t like. The only I can come up with is weight. The law of conservation of mass tells us that matter can be neither created nor destroyed, so there would have been no way to build a bomb-proof blind without using robust components. At about 25 pounds, the blind isn’t heavy, but it’s heavier than most of its flimsy competitors. Complaining about weight in a blind is really, really splitting hairs, because, after all, how far are you likely to pack a blind? Probably not far. And the XENEK lifetime warranty on hardware and two-year warranty on fabric easily make up for a few extra pounds. This is literally a legacy blind… your grandkids could be hunting out of it. Packed up and headed out.